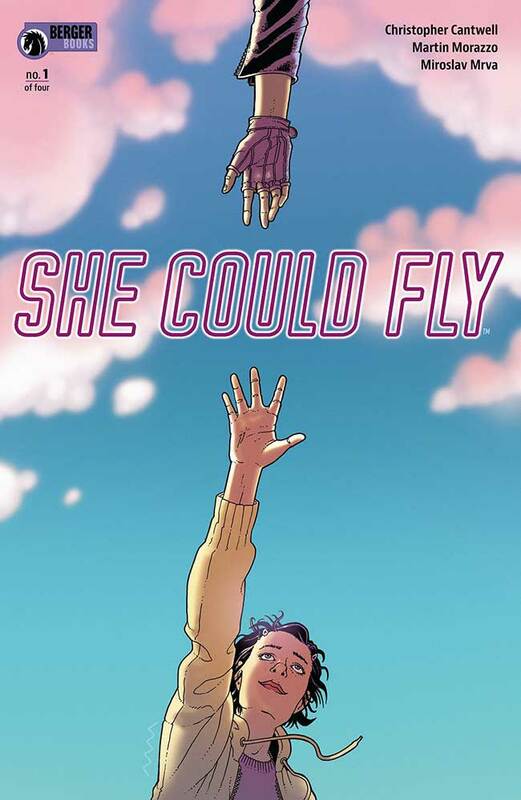 As part of the new imprint, Berger Books, from Dark Horse Comics, She Could Fly offers a totally different look at the world of an emerging superpower. Instead of seeing the world through this flying woman, we see it through the eyes of a mentally disturbed high school girl with an unhealthy obsession for the new celebrity. From Christopher Cantwell, Martin Morazzo, Miroslav Mrva, and Clem Robins, we get inside the mind of Luna, a 15-year-old girl who sees the worst in everything. Her mind is her worst enemy, and we see the way her brain works, and the disturbing images she sees, and yeah, they can be quite disturbing. In a book that sounds like it’s going to be a coming of age story of a young woman who can fly, it’s actually grounded deep into the psyche of a girl who wishes she could fly away from her life, and from the voices she hears inside. Mental health is no joke, and this book sheds a brutal light on it, showing how someone who is seemingly ok from the outside, albeit a little odd, is actually cracking up on the inside. From the scenarios she imagines to what she sees in real time, it’s frightening, and makes you want to see Luna find some answers, find some peace. Christopher Cantwell has created one hell of a story with this debut issue. I had no clue what to expect from this title, but throughout the years, I have known Dark Horse to publish some amazing and diverse books, so I had to give it a shot. I am glad I did. Martin Morazzo’s art tells a very crisp and blunt tale and looks great doing so. The characters all look great, the hallucinations are horrifying, and with Mrva and Robins as well, they make for one spectacular looking debut. She Could Fly isn’t about capes and powers, it’s about grabbing onto the amazing when your life is falling apart. This is a mature readers book, but other than that, I highly recommend this book.